Pet-friendly places to visit are becoming more and more popular it seems. Tourists and locals alike enjoy being able to bring their dog along and it seems business owners are now embracing the idea. 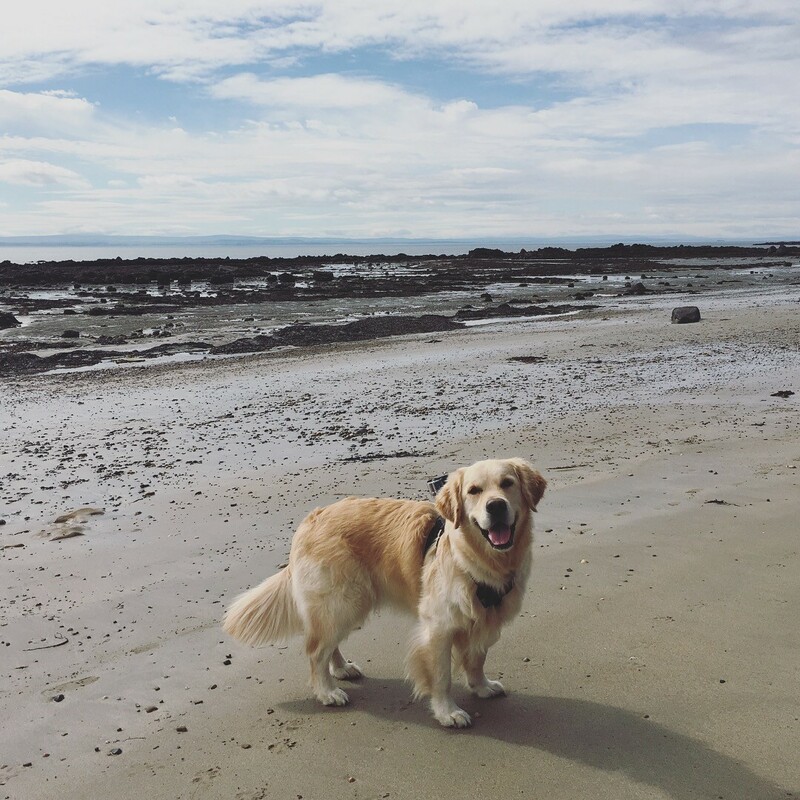 Fife has many popular dog walks, lots of coastal path and woodland walks, so it’s super nice being able to end the walk with a cuppa and a doggie treat for your four legged friend. Now the nice weather has arrived it’s the perfect opportunity for a family and doggie day out. There are a few forests in Fife run by the Forestry Commission. Tentsmuir Forest and the adjoining Kinshaldy beach is spot on for a picnic, paddle and woodland stroll. 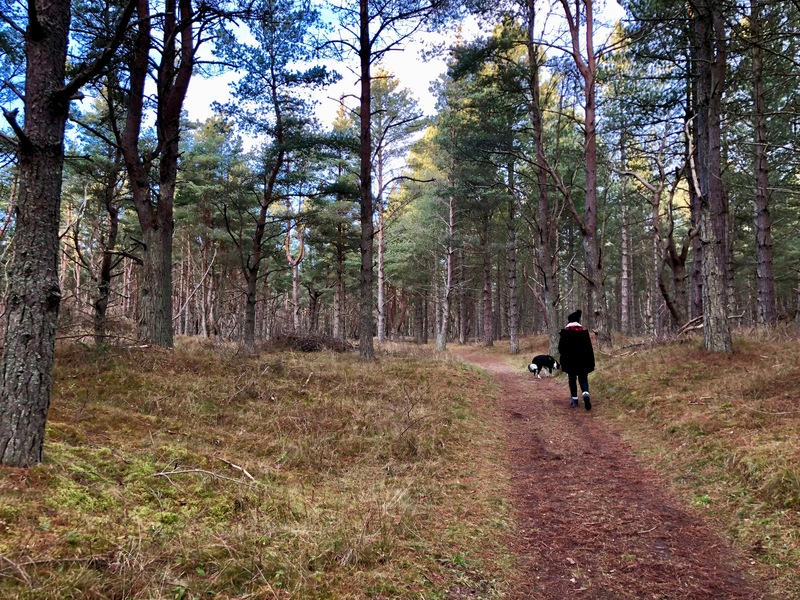 Blairadam Forest near Kelty has three trails where you can spot red squirrels and mighty trees. You can climb the steep forested Benarty Hill for fantastic views over Fife or explore the Pine Trees in Devilla Forest near Kincardine. There are also many parks that are perfect for dog walks. Beveridge Park, Ravenscraig Park and Dunnikier Park are all in Kirkcaldy. 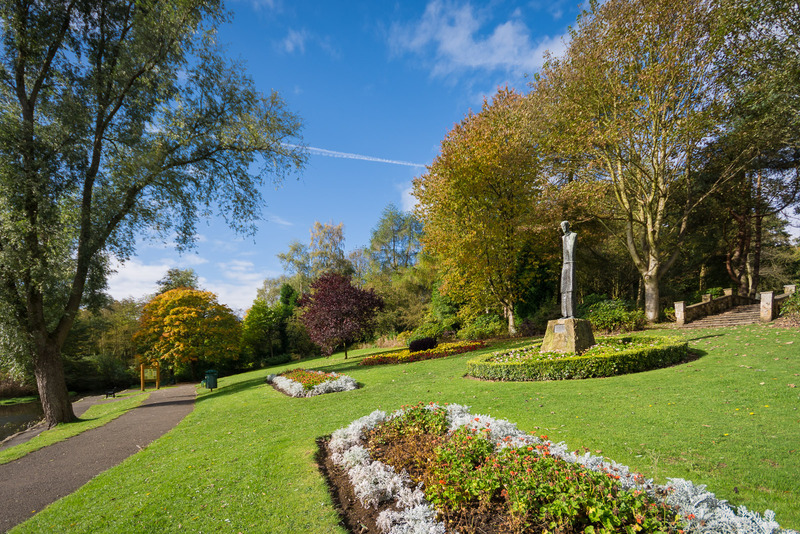 Pittencrieff Park in Dunfermline and Lochore Meadows in Lochore are both large enough for a good stretch of the legs and if you are feeling extra energetic there is 117 miles of coastal path stretching from Kincardine Bridge to the Tay Bridge. There is also Riverside Park in Glenrothes and Letham Glen in Leven. The Lomond Hills Regional Park which can be reached by either driving through Leslie or Falkland has miles of land to explore and three hills to climb too. These attractions below will happily allow dogs. Be sure to keep them on a lead though! 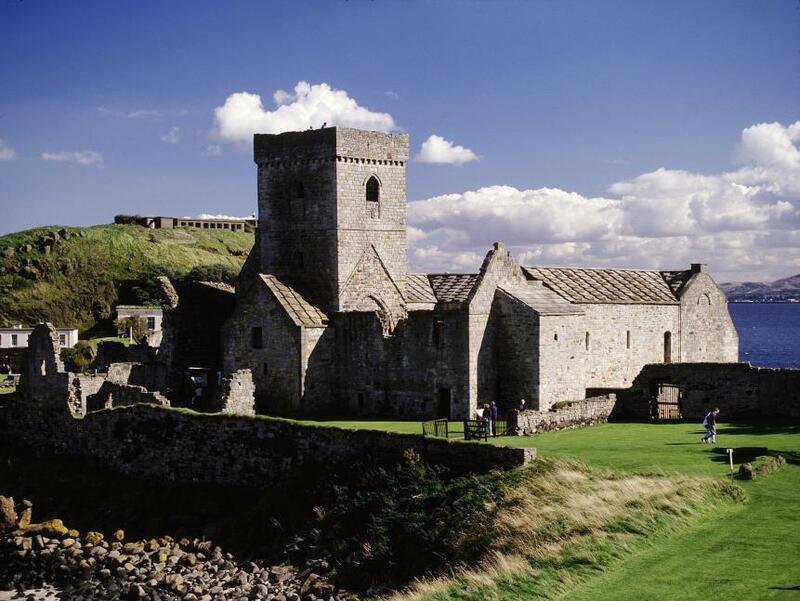 The island of Inchcolm is a mile from the Fife coast and you may have to venture to the other side of the Forth to set sail but you can bring your pup not only on the boat, but on the island and into the Abbey itself. Perfect for a full day out with the family. These atmospheric ruins are what is left of a13th century Cistercian monastery. As it’s a ruin you and your pup can explore to your hearts content. There are many ruins in Fife such as MacDuff Castle in Wemyss, Ravenscraig Castle in Kirkcaldy and Malcolm’s Tower in Dunfermline that give you the chance to not only get your dog some exercise but also for you to learn some pretty fascinating history. 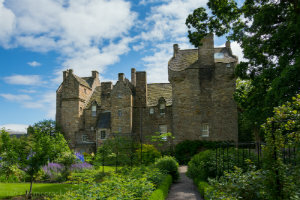 Both Hill of Tarvit and Kellie Castle and Gardens allow you to trek the surrounding woodlands. 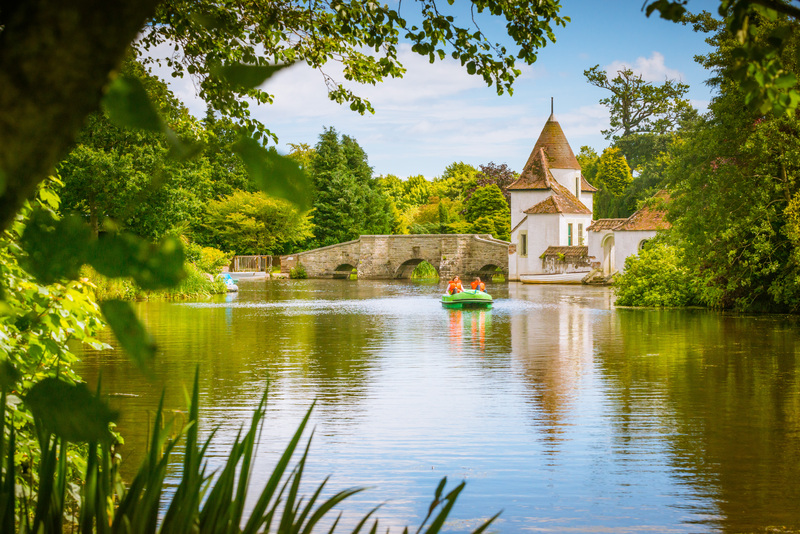 With a miniature railway, tractor rides, boating lake, crazy golf and a whole heap of other kid friendly attractions Craigtoun Park has been a favourite among locals for decades. The park is completely dog friendly except inside the cafe but there are picnic benches outside to use instead. You’d be surprised how many cafes and restaurants allows dogs in and this is just a snapshot. If you own an eating establishment in Fife and you welcome our furry friends please do get in touch and we can add you to the article! 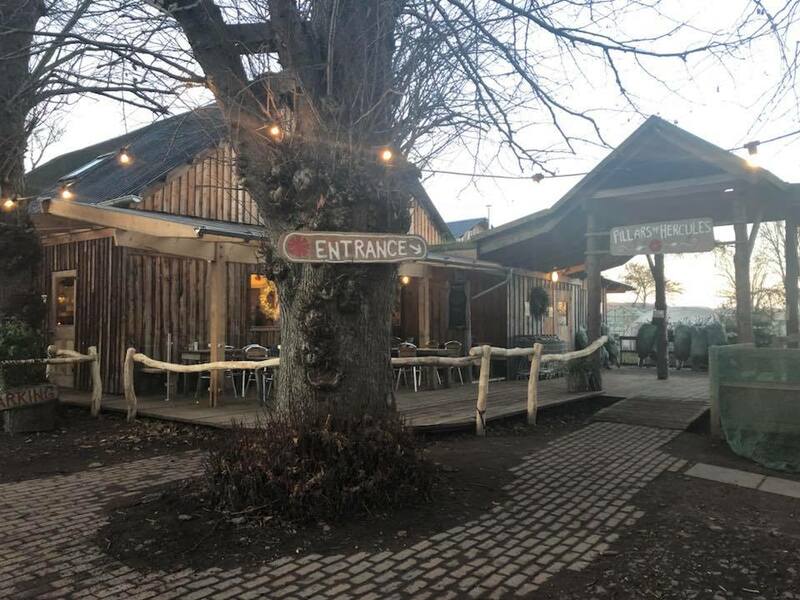 The wonderful Nosebag Cafe can be found in Cambo Estate and offers a delivious menu, reasonably prices and warmly welcome dogs. This is where VisitScotland Ambassadog George gave his 'paw' of approval. There are also beautiful walks and gardens to enjoy. Although dogs aren’t allowed in the formal restaurant they are more than welcome in the cafe/bar and if you ask nicely they even be treated to some doggy biscuits. A Kirkcaldy Cafe is extremely welcoming to dogs and their owners. There is always water and treats available. This cute cafe in Pittenweem is also a chocolate haven. Laid back and cosy, well behaved dogs are welcome. Although dogs aren’t allowed inside the covered decking area outside is comfortable and relaxing. An ideal pit stop while you explore the Falkland Estate, completely organic too. The “Larachs” is so dog friendly they even serve dog beer! Serving a mean homemade soup and sandwiches the owners here will happily allow dogs in as long as they are on their best behaviour. 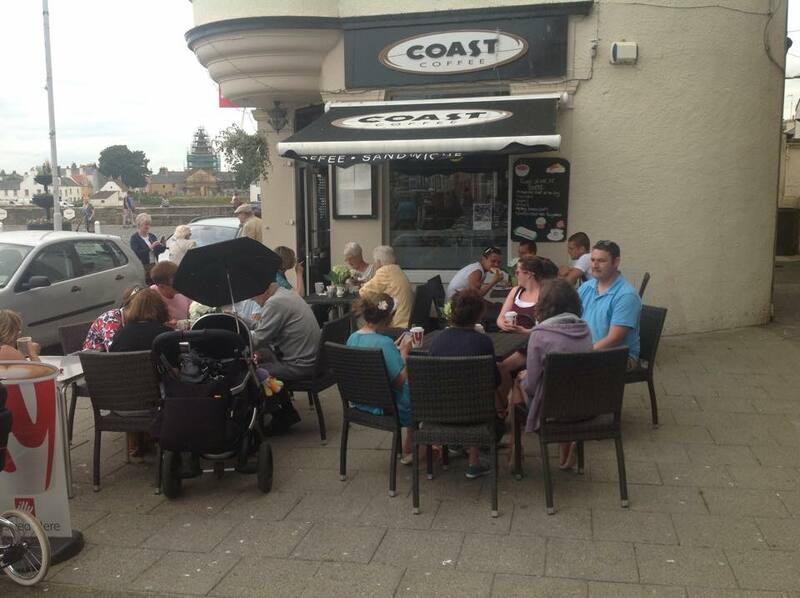 Dogs and their owners will love Coast Coffee in Anstruther. I’ve been assured that every member of staff knows where the doggy biscuit tin is kept and there will always be a big bowl of fresh water available. 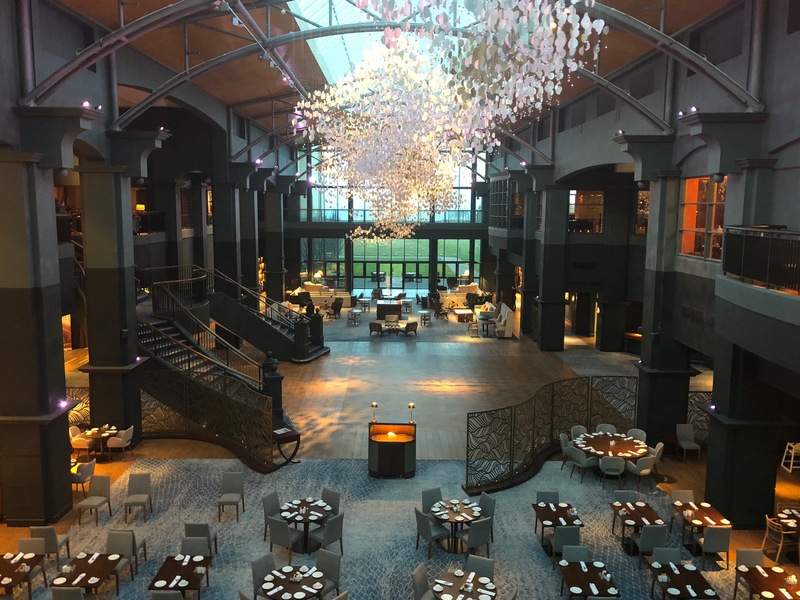 The outstanding Fairmont on the outskirts of St Andrews have some dog-friendly rooms. For £50 per night you can have up to two dogs in your room and the Fairmont will supply a doggy water bowl and a lovely dog bed. 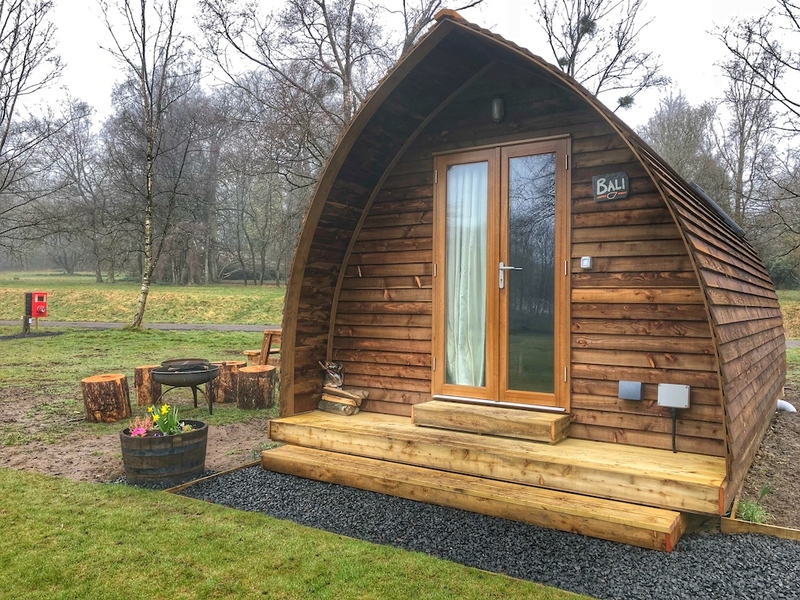 These amazing little wigwams are situated in the woodland of the Montrave Estate, not far from Kennoway and Leven. Dogs are allowed in some of them and dogs will absolutely love the many walks and big open spaces. This traditional pub, restaurant with rooms sits opposite Falkland Palace in Falkland and is full of character and history. The perfect base for exploring the nearby Falkland Estate and Lomond Hills. Recently renovated in beautiful coastal blues and greens The Ship Inn has been a favourite with the locals for years. They love dogs who are more than welcome in the bar and in one of the bedrooms, affectionately known as the Dog Room. This historic coaching Inn has been serving customers for decades and not only has a dog friendly bar but hotel rooms too. If you want a golfing break with the pup Drumoig Golf Hotel welcomes up to two dogs in their standard rooms. 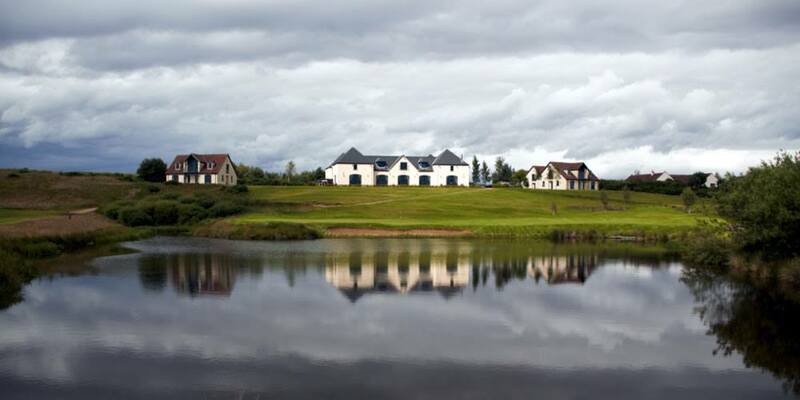 Near St Andrews the 18 hole Par 73 golf course is set in 250 acres of lush Fife countryside. This Inn loves dogs and allow them in all the bedrooms and in the Snug where humans can eat their meal and the dogs can enjoy the cosy fire. Balbirnie sits on 400 acres of parkland and has an18 hole golf course, a croquet lawn and walking trails through beautiful forests and the hotel itself has won award after award. These luxurious lodges all have outdoor hot tubs and are perfect for a wee escape. Sit out on the balcony, collect some free range eggs from the resident chickens for breakfast or explore the stunning Blairadam Forest. Some of the lodges allow dogs are there is free WiFi and all the amenities you would have at home. 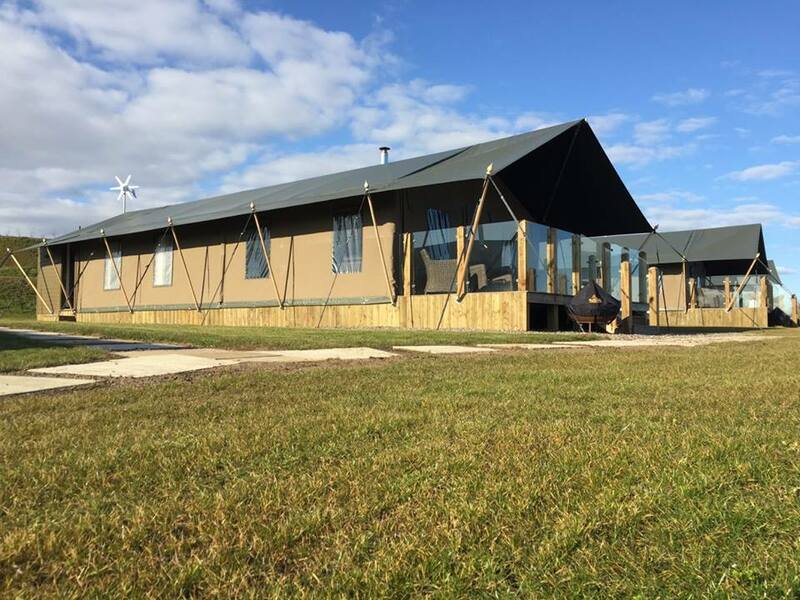 These brand new safari lodges are situated right on the coast near the East Neuk village of Elie. These take glamping to a whole new level with proper beds, hot showers, a kitchen made from their own fallen trees and a large deck with sofa to soak up the views. They sleep 2-6 and allow dogs. 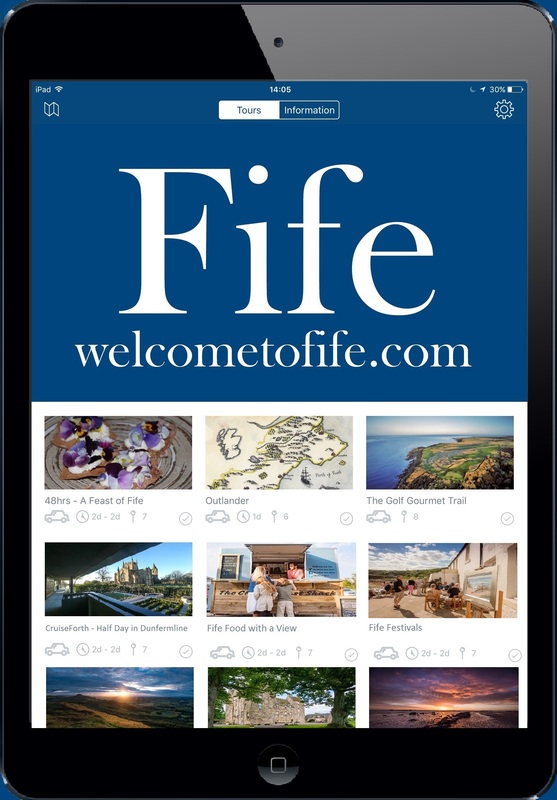 This self catering company own two dog friendly properties, one in the heart of St Andrews and one in the village of Pittenweem. Both cottages are luxurious and beautifully decorated. There's no shortage of places to stay and eat in Fife who love doggies just as much as us. Most will be happy to treat the pup to a bowl of water and will have some treats at the ready. Have you visited any fab dog friendly places in Fife? Do let us know!